These are the invitations I have been addressing all week. Blue on white. So classy and a change from the ordinary! 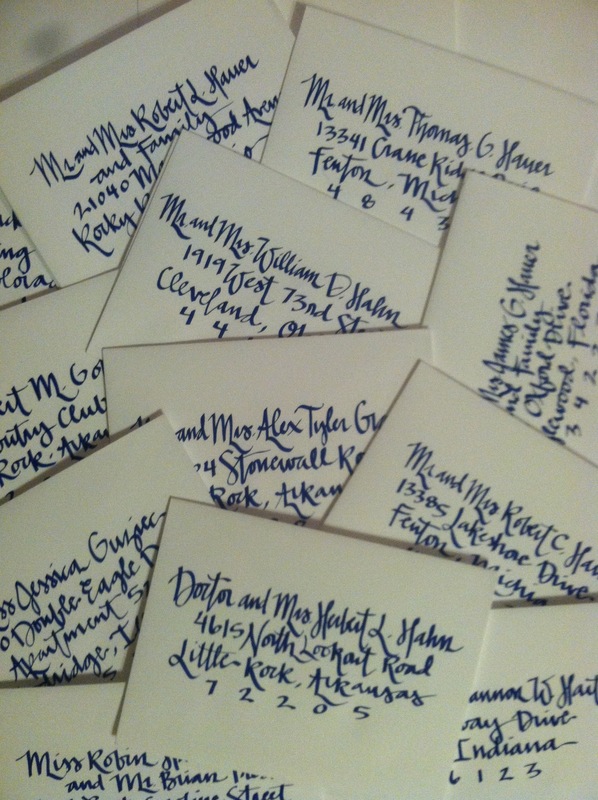 This entry was posted in Weddings and tagged Blue calligraphy, calligraphy. Bookmark the permalink.